The SmartAlec Podcast is a weekly look inside local Colorado state politics. Each week hosts House Majority Leader Alec Garnett and his aide Ethan Black talk through the most important and interesting legislation of the week in the Colorado General Assembly. 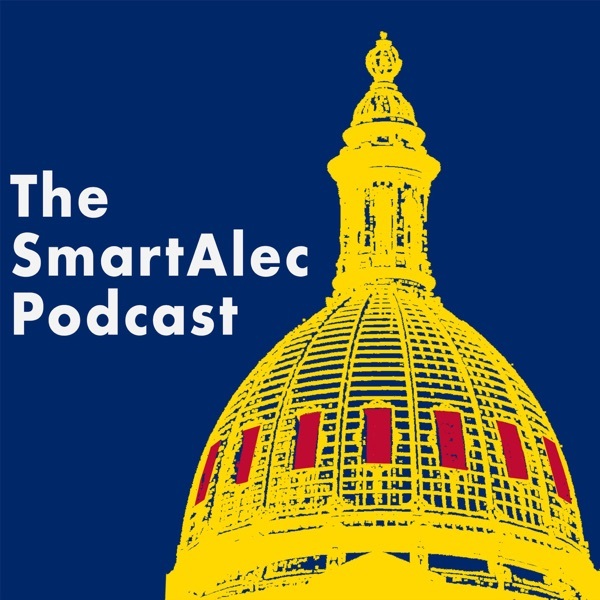 As the only podcast hosted by a Colorado state legislator, the SmartAlec Podcast is the best inside view into current developments under Colorado’s gold-domed capitol. This week, we have a thorough discussion about about Colorado's school finance formula with Senator Pual Lundeen (SD-9). If you've ever wondered about how Colorado funds its schools or want to get deep into Colorado ed policy, this is great conversation. We also talk about our March Madness picks, surprise billing legislation, the oil and gas bill, and give a big HD-2 shoutout to the Molly Brown House Museum from the brilliant and hard working senior advisor to the Majority Leader, Katie March. Phone: (303) 866-2911 Email: alec.garnett.house@state.co.us Majority Leader Garnett Twitter: @AlecGarnett Ethan Black Twitter: @EthanBlack Music, cover art, and production by Ethan Black.